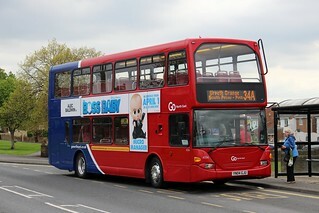 Having sustained accident damage which is uneconomical to repair, this vehicle has been withdrawn from service at Riverside Depot. 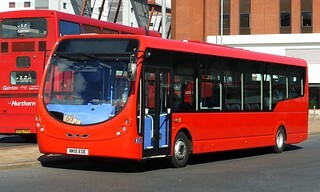 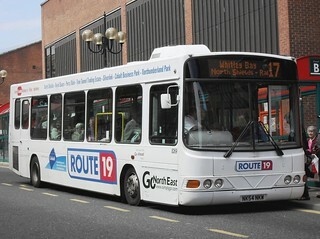 Due to a reduction in spare vehicles at Deptford and an upcoming PVR increase at Chester-le-Street on the Ushaw College DU2 service until Easter 2017, Scania L94UB/Wright Solar 4965 (NL52 WVW) transferred from Deptford Depot to Chester-le-Street last September. 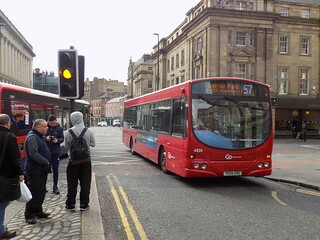 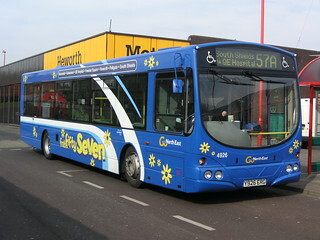 As 4965 (NL52 WVW) no longer forms part of Chester-le-Street's fleet, this vehicle has instead transferred from Chester-le-Street to Riverside, as the extra vehicle is no longer required on the Ushaw College DU2 service. 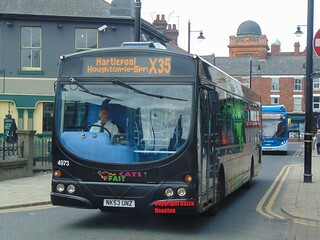 This vehicle has returned to service at Chester-le-Street Depot, following temporary loan to Stanley Depot.